“Krishnam Vande Jagadgurum” A leader, A master par excellence, A supreme Avatar, A lover, A King, A true friend, A Child, A husband, A politician, You name it – Krishna is it. We can hardly see an Avatar so versatile and so powerful. He also represented the eternal principles of dharma like the previous avatars of Lord Vishnu, and carried out His mission in a style and flair that stunned the entire universe. Krishna inspired generations and keeps inspiring generations even now. His life has been so versatile, that everyone interpreted it the way he/ she could understand and the fact remains that most mis understood and mis – interpreted. This “vaasudeva” represented the Supreme Lord, Parabrahma. He said “those who leave off everything and surrender to me, I will take care of them”. He has always been speaking on behalf of the Supreme Lord. He said – “Before the sun was, I am”. He was never representing the finite form called Krishna. He was the supreme soul, reflecting through the rather limited and tangible form of Krishna. The body called Krishna was only a medium. A powerful medium at that. The Supreme soul, Lord Vishnu, the omnipresent, was absorbed in the Divine play, as blissfully and as authoritatively as the Almighty can ever express itself. “The whole universe is filled with nothing but the energy of Vaasudeva. I bow to the Vaasudeva in all beings” – Sage Vyasa said. As with all the great Masters, Krishna’s life itself was His teaching. Innocence and absolute awareness. It goes hand in hand. All children are innocent and at that level, they operate always in the present. They do not have any anxieties or fears until the adults give it to them. Innocence needs awareness. Awareness brings innocence, as ego gets diluted drastically. Krishna had a turbulent childhood, as his maternal uncle Kamsa constantly tried to kill Krishna, fearing his own death at the hands of his nephew Krishna, due to a prophecy. Nothing worked. Krishna remained invincible. Destiny had its own plan as the world was reeling in adharma, or decay in dharma, and the world badly needed an Avatar. An Avatar was inevitable, “to rescue dharma from decay and eradicate adharma”. No ordinary mortals could have achieved such a mighty task. Hence the Divine Himself came to earth to put things straight. 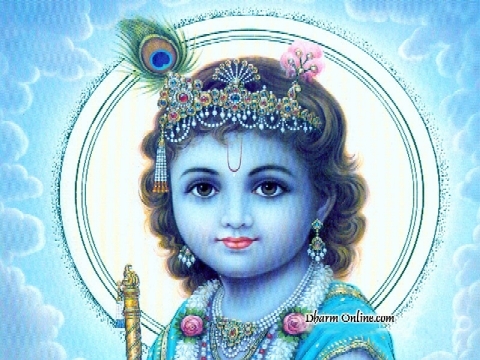 No parent will want a child like Krishna, if they fathom the troubles this child was going through during His childhood. Who will want so many threats to his child’s life? Kamsa repeatedly sent ferocious demons to put Krishna to death. He survived it all. It is fascinating to note that a tiny little Krishna handled and despatched mighty demons many times his size and walked away as if nothing ever took place. Krishna’s childhood was full of pranks and it created annoyance to many. Being an Avatar, He liberated many by His presence, words, and sometimes actions. Someone who died at His hands, immediately got moksha or liberation. He was born in a prison. He lived all his childhood away from his biological parents. His foster parents loved Him equally. They provided for Him and made sure He was well “protected”. Who can understand an Avatar in flesh and blood? Human mind has not developed to that level. One should be operating from higher consciousness to understand an Avatar and actually feel his presence as well as enjoy and be benefited from it. In fact, His presence was protecting everyone else. Once, as a small, inquisitive child, he ate soil from the ground. Mother Yasoda asked him to open his mouth to verify. He opened His mouth and Yasoda saw the whole universe in that mouth. She could not believe what she saw. Her son was indeed extra ordinary. Because of pranks and complaints from neighbors, she even tied him to an object. He moved with the object and liberated two cursed souls, standing there as trees. Thus, bound or unbound, He went ahead with His mission. Even as a child, He was the center of attraction of all the villagers. He was dark, as clouds before the rain. He was charming and great energy flowed from Him. He smelled of sandalwood and divine flowers when ever He came close. He grazed cattle and played flute. Cattle stopped grazing and stood around Him, listening to His flute, the whole day. Many liberated souls chose another birth as cattle to be near the Lord. When an Avatar takes place, many beings choose terrestrial births to aid the Avatar or just be in His energy presence. One touch or look from Him can elevate a soul to the highest possible heights of bliss or ‘sat chit ananda’. One of the most interesting incidents that happened in Krishna’s youth was the surrendering of the mighty serpent Kaliya, who was poisoning the river, contaminating the water. Krishna jumped on Kaliya’s various heads and danced. Finally, out of fatigue and pain, the serpent vomitted poison which burnt the grass and trees around him. Later, his wives pleaded and begged Krishna for forgiveness and to spare their husband. Out of pain and fatigue, Kaliya also surrendered at the feet of the Lord. Kaliya represents ourselves. His thousand heads represents our multi-faceted ego. Krishna’s dance represents the beatings that we receive on our ego, time and again, to ground us and bring us closer to the Almighty. Ego is one of the biggest barriers that alienate us from divinity. In everyone’s life, destiny deflates it time after time, through compelling and unavoidable tragic situations. Some get it many times in life, which depends entirely on one’s track. If one’s track is spiritual, then it happens more. Destiny annihilates all attachments consistently, if the person is in the track of liberation. Destiny strips him and makes him naked. Whatever one’s track is, nobody can avoid ego bashing of destiny. Nobody is immune to it. When this happens through someone whom we cannot avoid, we spit venom. We lose cool. We blame and shout. This is our nature. Out of helplessness, we run to the feet of God. We remember God at that time at least. When ego is hurt, at first, we become violent, venom comes out through our senses and mind. It can even burn all things, including the people and relationships around us. There is nothing more harmful than a hurt ego. Finally, when all the venom is exhausted, and mind gets famished after all the venom has been spit out, we surrender to the will of the Almighty. When ego is gone, we experience the love of God. Thus, Krishna taught the world a beautiful lesson on human constitution and the significance of ego bashing. Kaliya Mardana (the defeat of Kaliya) means ego bashing. 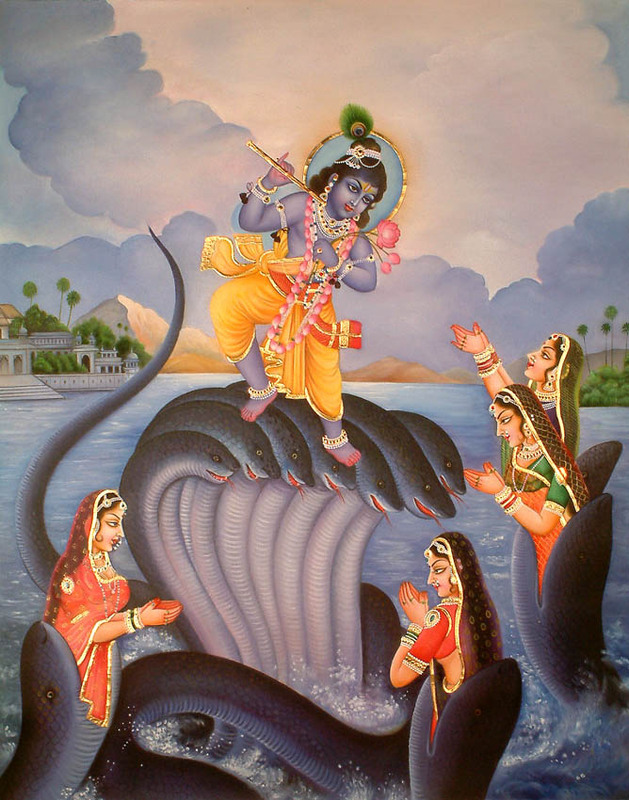 When Kaliya, the serpent, surrendered to Krishna, He graciously allowed him to exist there with his wife and children, without harming other life and without polluting the water any further. This was also part of his dharma which contributed to his purpose of visit – the preservation of dharma. Now many commercial Kaliyas are contaminating the rivers of the world these days. Dharma of the nature will eradicate them too, sooner or later. Everyone loves Love. Everyone Loves to receive Love. Everyone Loves to feel and express Love. Everyone loves those who love everyone. Even plants, birds and animals respond positively to love. Love is powerful. Love is universal. Love transforms. Love conquers. Love establishes faith. Faith establishes love. Love is the bottom-line. Everyone loved Krishna, because Krishna expressed love unconditionally. His energy was so pure and powerful that men, women, birds and animals sought his proximity always and would give anything to be near Him. When he played the flute, men, women and children, birds, animals, trees and plants, rejoiced in the divinity of His music and the ultimate silence behind His music. It lifted all beings to metaphysical realms. People danced and sang. They rejoiced life, existence and the rare presence of an Avatar amongst them. No signs were needed. The supreme energy that flowed out of Him was unmistakable. The ecstasy that he created by His sheer presence is the actual Raas Leela. Readers may kindly note that, unlike the pictures that we have traditionally seen, it was not only beautiful maidens, but also, old Gopikas, men and children, people of all age and gender that used to rush towards Krishna when ever they heard his flute. Divine energy is so addictive. It is so liberating. The very sight of an Avatar can liberate beings from terrestrial births and deaths. So, every soul that felt the energy and power of Krishna, came to Him. Souls were in bodies of many kinds, which included, men, women, children, birds and animals. The bathing of individual soul in the divine energy of the supreme soul is the actual raas leela. Kindly do not interpret/reduce this beautiful union to just physical love making. That would amount to degrading the stature of the real Krishna, the supreme Parabrahma. The experience could have been orgasmic. 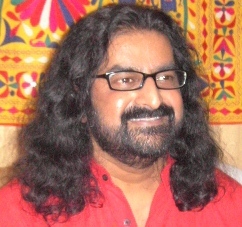 That is the experience one receives when he/she experiences the bliss of cosmic consciousness, a prolonged orgasmic bliss which is eternal and genuine. Krishna is blamed of marrying too many – 16008 Wives, to be precise. Who can manage so many? Who would dare? Jokes apart, the reality is something else. He conquered a kingdom run by a selfish, dictatorial king (name is not important here, which will only deviate our thoughts from the real subject). Power corrupts and absolute power corrupts absolutely. So, Krishna whose mission was to set the dharma right, went about conquering this kingdom. After the conquest, he freed all the prisoners. There were many men, women and even children in prisons. He told them all ” You are free now. Go back to your families and live peacefully. If you have any problem, or if anyone bothers you, please let me know. I would do what I can, to help you.” All of them left for their homes. Men managed to survive. Even now, in our society, men who make money are respected, irrespective of how they make it. Women always get a different treatment in any society. So, their society being as conservative as always and not willing to accept ex convicts in their homes, they feared that this would picture them in the wrong light in the eyes of the society. It could also affect alliances and relationships with other families. So, the relatives of the ex convicts politely refused to accept them in their houses. They had nowhere to go. They went back to Krishna and told him, “Oh lord, you liberated us. Now we are in deeper problem. In the prison, we used to get three meals a day. Now, we are starving. Please put us back in the prison and allow us to complete this life in peace. We do not want to live as a burden or disturbance to our relatives.” Krishna immediately called his ministers and ordered to get all the women who came back to him – counting 16008, the status of his “Royal Wives”. The status of “Raja Patni” automatically gave them many privileges, including a fixed allowance from the palace, a house and many other things. This gave all the ex convicts respectability in the society. They got much respect and even some men were ready to marry the younger ones among them. Thus, Krishna uplifted the standards of all those women who might have otherwise perished inside the prison or in the more ruthless society. This was a great deed. The world has not seen anything so magnanimous and benevolent before or after the time of Krishna. Still we accuse him of being a womanizer or a marrying man. Is it our mind that is tripping? Are we projecting the womanizer within us on Krishna, who conveniently is everything that we make him of? All images suit Him. All seasons suit Him. He is a complete Avatar. If you want to experience His presence and power, the Guruvayoor temple in Thrissur district in Kerala must be visited. The power and glory of the Lord is so tangible there. Then, of course, Mathura and Vrindavan. We can feel Krishna, if you can escape the greed of “pandas”, the priestly class of Vrindavan. I always felt deeply connected with Guruvayoor, where thousands worship each day. 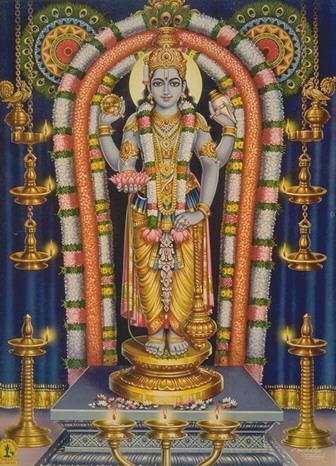 Lord Krishna as Guruvayoorappan. A tangible God. Krishna was the architect of the great war of Mahabharatha. Being omnipresent, he knew what to do and when. Just imagine the state of the inadequate Pandavas without the support of Krishna!!! Krishna gave away the substantial yaadava army to Kauravas and stayed unarmed with Paandavas, with a vow that He will not use arms ever, during the war. Many people accuse him of compromising truth during war. He was delivering the higher dharma. He had a clear mission of annihilating dictatorial monarchy and establishing rule based on dharma. So, He was doing His job, the purpose of His incarnation. In the middle of the battlefield, He conveyed the eternal principles of existence, the sum total of all scriptures, in the form of Gita. Arjuna who was depressed by the thought that He would eventually have to kill his own kin, was rejuvenated by Krishna, through his words and His showing His actual form, a kind of enlightenment experience, which altered Arjuna’s state of consciousness, made him more objective and ready for the fight. Krishna weaved the fabric of annihilation of selfishness and re installed the dharmic life on earth. He said, “Whenever dharma is in decay, I HAPPEN again and again”. An avatar is a happening. Avatar happens only for a certain purpose and exits as easily as it appeared. As Sri Rama, He had killed Bali, hidden behind a tree. This is against dharma. While resting in a forest, a hunter who was Bali’s rebirth, mistaking the feet of Krishna for a deer, sent an arrow which hit Krishna. Krishna thus compensated for his action of killing Bali, as Rama. Karma definitely comes around. This is an important lesson. It was perhaps not that arrow that killed Krishna. His mission was accomplished and He was leaving anyway. Yet, He put this matter also straight, before He left His body. He even got the selfish and warring Yadava army annihilated before He left. We can write pages and pages about Krishna, who is a complete Avatar. Maybe we will talk more at some other time. Krishna Consciousness is always Here and NOW - GET IT While you can!!! Thanks for enlightening us on Lord Krishna. Thank you for your beautiful posts which keep my mind fertile. I am lovingly embracing every experience of my life, which flows in surrender and in perfect beauty. First thank you for blessing us with your presence and giving a patiently listening. Its always a pleasure to know the deeper truths and its especially more intriguing and insightful when we get the truth from masters. Can’t forget the experience we had in Muscat…. The total surrender is always to sriKrishna, Sarvam Krishnarpanamastu!!! Thank you so much from the depths of my Heart. I Love you for all the knowledge you share with us & uplift our Lives. Vrindavan has always been very appealing to my ears since childhood. 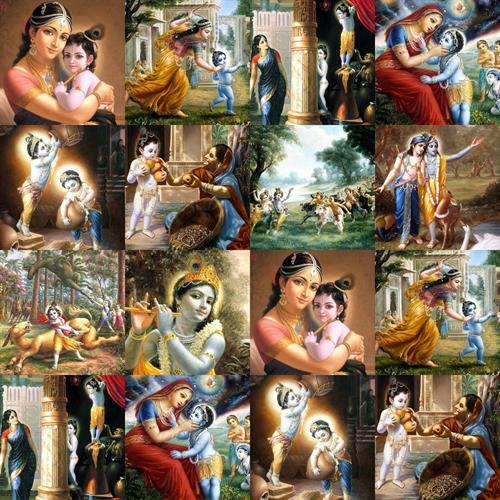 Lord Krishna playing the flute & all the Gopis dancing to His Divine tune is so enchanting. I would love to be one of the Gopi’s during Krishna’s reign just so to experience that complete Divine Bliss being with Him in His smiling divine Presence. your message has given a new insight on the LORD.i had always kept him in my mind as a GOD, a supreme avatar. now HE will be a friend who will always be with me, in me. Thank you for forwarding us this beautiful and wonderful insight of Lord krishna Thanks for the knowledge you share with us & uplift our Lives. Do you have any plans to come to Mumbai ? I will be back in Dubai on 1st of May 2010. Reading this wonderful script creates thirsty for me to see krishna and be with Krishna. To Enjoy his leelas. Pls share us more about krishna leela. I am enjoying every event which lord krishna left for us to hear and enjoy. I Like everything realy good thoughts..
i don’t know weather i will ever obtain you or not. i fear , lest i should loose you.i am the worst person in all over world.i know, i will never be excused by you.instead of being the worst person, i love you more than anyone . you always live in my heart. i know ,my origin is from you and my end is in you.instead of knowing this fact ,i am being misleaded by every situation and every person . still i like you more than my life. While searching more information on Nagaloka, I visited your site. Since then I have been reading your articles and is deeply influenced by your words. Please let me know if there is a possibility of contacting you personally via email. Looking forward to contact you .